In the late 1500s Abraham Ortelius suggested that the Americas were “torn away from Europe and Africa … by earthquakes and floods…. The vestiges of the rupture reveal themselves, if someone brings forward a map of the world and considers carefully the coasts of the three [continents].” After him, a number of other geologists made similar observations, up until the 1850s. How could continents possibly move? 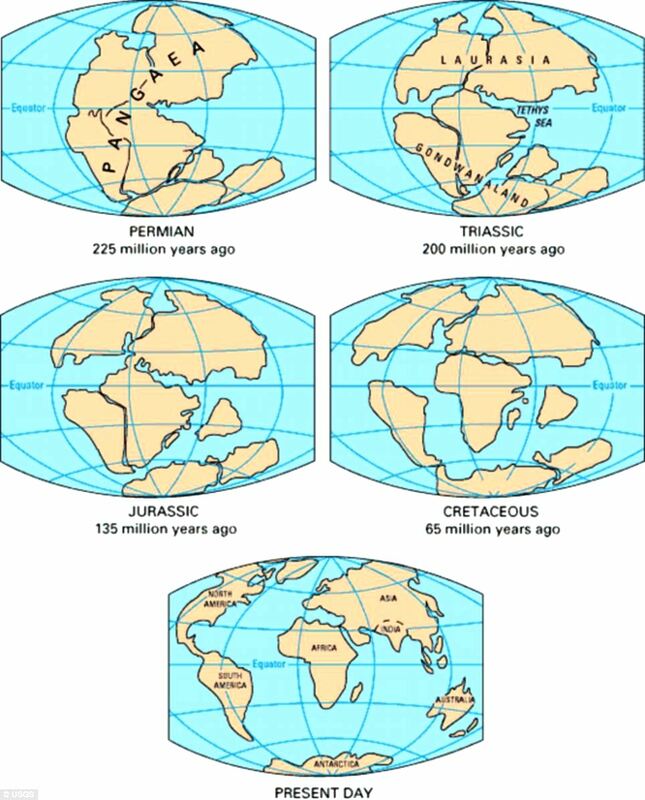 Fossils exist in geographic patterns – this pattern implies that all of the continents must have once laid together. Wegener’s theory of continental drift was not accepted for many years. Why? * Wegener did propose a hypothesis about how continents could move, but he was incorrect about them. 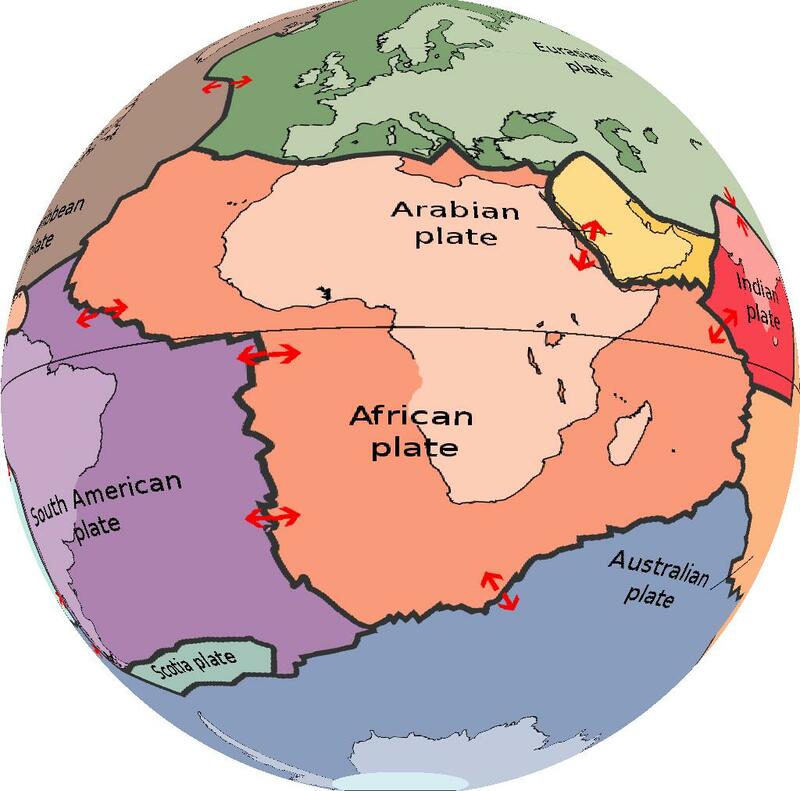 Although today we know that Wegener was right that the continents do move, he did not know how they did so. * It is the nature of science to be skeptical of extraordinary claims. When one makes extraordinary claims, one must bring evidence to back them up. Wegener had begun the process of collecting evidence, but there was much more work to be done over the next 40 years. 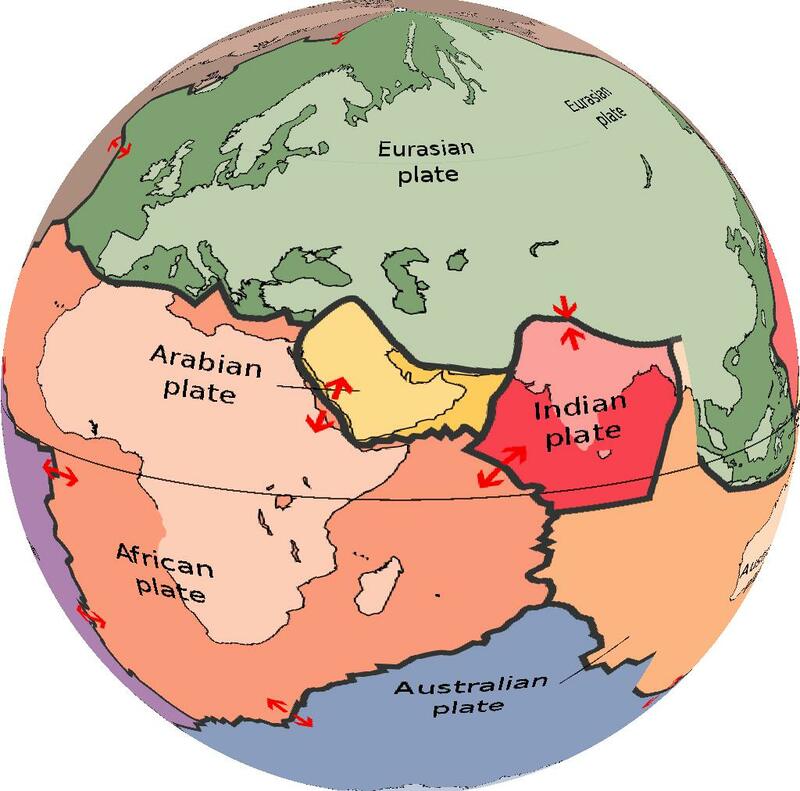 The following text is from The Geological Society of London, website on plate tectonics. * Jigsaw Fit : The similarity in outline of the coastlines of eastern South America and West Africa had been noted for some time. The best fit is obtained if the coastlines are matched at a depth of 1,000 metres below current sea level. * Geological Fit : When the geology of eastern South America and West Africa was mapped it revealed that ancient rock outcrops (cratons) over 2,000 million years old were continuous from one continent to the other. * Tectonic Fit : Fragments of an old fold mountain belt between 450 and 400 million years ago are found on widely separated continents today. Pieces of the Caledonian fold mountain belt are found in Greenland, Canada, Ireland, England, Scotland and Scandinavia. When these land masses are re-assembled the mountain belt forms a continuous linear feature. * Glacial Deposits : Today, glacial deposits formed 300 million years ago are found in Antarctica, Africa, South America, India and Australia. If the continents haven’t moved, then this would suggest an ice sheet extended from the south pole to the equator at this time – which is unlikely… [but] if the continents of the southern hemisphere are re-assembled near the south pole, then the Permo-Carboniferous ice sheet assumes a much more reasonable size. * Fossil Evidence : There are many examples of fossils found on separate continents and nowhere else, suggesting the continents were once joined. 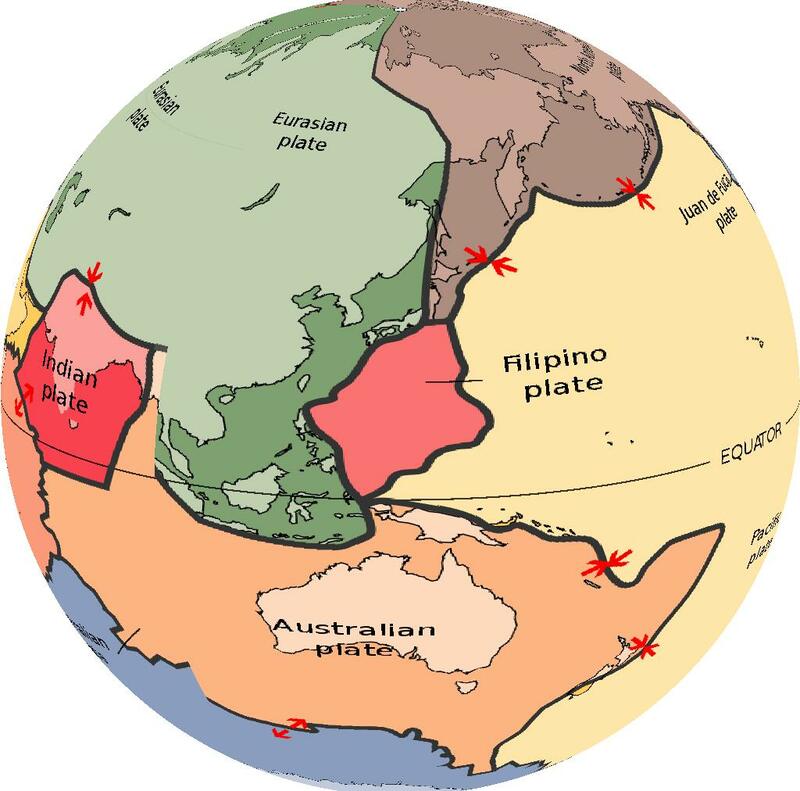 Scientists discovered mantle convection cells within the Earth: This is what makes the tectonic plates moves. Here are several animations and videos. Video showing how convection cells inside the Earth move tectonic plates on the Earth’s surface. The 3D interactive website called Ancient Earth Globe lets you glimpse the world from space during the age of the dinosaurs — and more. Seeing the Earth at various points in geological history, from 750 million years ago to today, is an eye-opening activity to say the least. The website allows you to see the entire globe as it slowly rotates, or zoom in to see closer details of land and oceans. There’s also an option to remove clouds for an even better look. Continents are still on the move, and they’ll almost certainly continue to move until the Sun vaporizes our planet in five billion years’ time. In all likelihood, the continents will merge again to form a new supercontinent within in the next 250 million years, completing the latest turn of the supercontinent cycle. As you can see, enjoy the Atlantic Ocean while you can, because it won’t be around forever. Africa and North America will crash into each other, while South America is going to get cozy with Antarctica. Australia will crash into China and southeast Asia, which really just sounds like the premise for a mildly offensive sit-com. And Europe? Poor Europe looks like it’s headed for significantly colder climes, getting dangerously close to becoming the new North Pole. 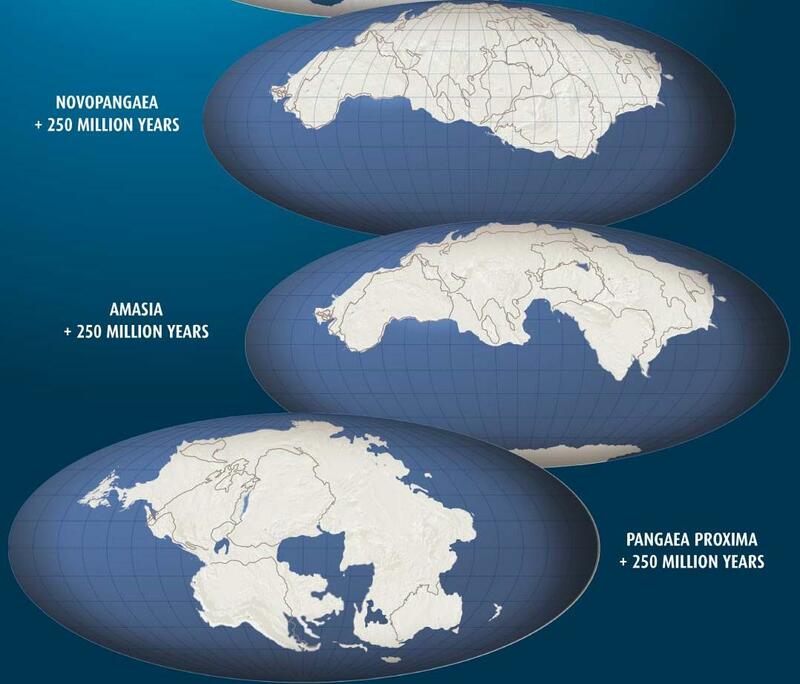 Pangaea Ultima is probably the somewhat preferred theory of geologists, but there the Pacific plate does seem to be sliding underneath North America and Eurasia, which would mean the ocean itself with close if it continues on this present course. But that’s the problem – we’re trying to predict millions of years worth of of incremental movement based on a pitifully incomplete dataset. A best guess is about the most we can really expect.